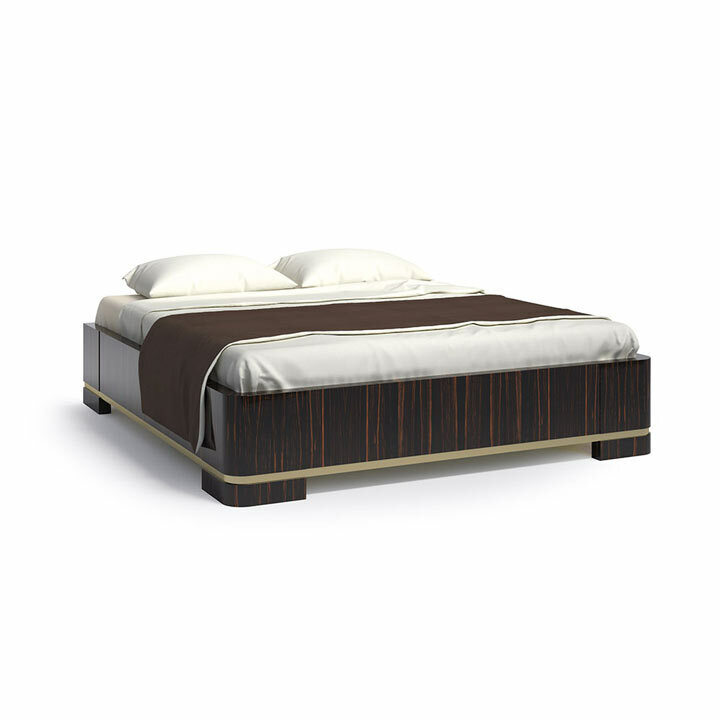 Original Contemporary style wooden bed frame. The gold plated metal inserts add a touch of unmistakable elegance that distinguishes it from all other Sevensedie products. On request, we can supply the product with wooden slatted base and mattress.